We recently purchased a home in Tulsa, Oklahoma, and one of the first upgrades we made was wood flooring. The Tulsa home had a combination of tile, laminate and carpeting, but we decided to replace all of the flooring with hardwood floors. When making this decision, we carefully considered all of our flooring options and did ample research to help with our choice. Ultimately, wood turned out to be our best option. If you are considering an upgrade in the flooring for your house, read on for some of the reasons why wood is the perfect choice. One of the factors that first led us to hardwood flooring was the timeless look it can give your home. Wood has been a prime choice for flooring for centuries and for good reason: it goes with any style of home and any type of decor. Whether you lean toward traditional or modern styles, there is a hardwood floor that can fit your style perfectly. Once you have chosen wood, you will likely not need to change your flooring to match your home, no matter how many times you choose to update the look of your house. In addition to a timeless quality, wood adds warmth to any home. While other flooring types may feel cold or austere, wood makes your house feel more like home. Wood flooring also pairs perfectly with large accent rugs to give you soft spaces in your home. You may initially be put off by the price of hardwood floors, but you should think of it as an investment. While other floor types, like laminate, are cheaper, they are not nearly as durable as wood. Hardwood flooring is made to last a lifetime. You may find yourself replacing other flooring types several times over the life of your house, which can likely be more costly than making a one-time purchase of wooden floors. Your floors receive much of the wear and tear you put on your home, so it makes sense to go with the most durable option. One of the most appealing components of wood flooring is how easy it is to clean and maintain. If you have pets and / or children, you can plan on encountering messes often. Hardwood floors are easy for a quick clean up of virtually any mess and are not prone to staining. It does not take much to keep your floors looking as good as new. You can simply sweep or vacuum them every few days and spot clean them as needed, using a cleaner recommended by your floor’s manufacturer. If you wish to mop the entire floor, you can use a mop and a solution of a recommended cleaner. As long as you use the right cleaner, your floors will not lose their luster and many years later you will find them looking as new as the day you bought them. 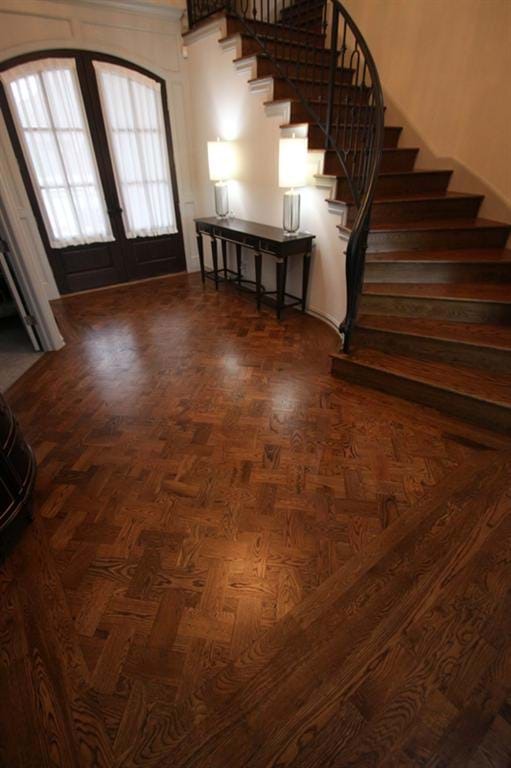 One of the main reasons we chose hardwood floors for our Tulsa home is that wood is easy to refinish. We like to change the look of our home every few years or so, and if we decide to make change in the flooring, we will not have to replace it. Wood floors are easy to sand down and stain, so if we need a change of color, it is easy to accomplish. This is an affordable procedure, so we do not have to replace our entire floors to get a new look. As with any remodel, you are thinking above improvements that you and your family will enjoy, but you also want to make improvements that can increase the value of your home in the event you decide to resell. Wood flooring is one of the most sought-after types of flooring by potential buyers, so you can get more money out of your home. If you are in need of professional hardwood flooring services, contact Brücke Hardwood Flooring in Tulsa, Oklahoma today!